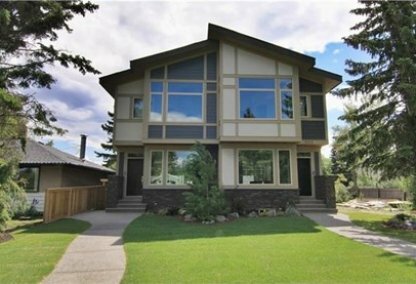 See today's Cambrian Heights homes for sale in Calgary! Cambrian Heights real estate is coveted by many people who are instantly taken by the peaceful community. Mid-century homes with picturesque views, open yards, and tree-lined streets border the enchanting Nose Hill Park and Confederation Park. To learn more about Cambrian Heights real estate for sale or to schedule a guided home or condo tour, connect with your Cambrian Heights Calgary real estate team today. Cambrian Heights housing market statistics: As of April 25, 2019 there are currently 6 properties for sale in Cambrian Heights listed as active, with an average asking price of $706,298. The highest-priced property is $1,095,000; the lowest priced property can be purchased for $574,000. Cambrian Heights neighbourhood listings have an average price of $529 per square foot, based on listings with 4.2 bedrooms, 2.7 baths, and 1,369 square feet of living space. Thinking of selling or buying a home in Cambrian Heights Calgary? Call Justin Havre at RE/MAX First - 403.217.0003. Our community of Cambrian Heights real estate agents will help you navigate the Cambrian Heights housing market in Calgary. The Cambrian Heights community is bordered by John Lauroe Blvd/40th Ave (North); Northmount Drive/Cambrian Drive (South); 9/10 Street (East); and 14 Street (West). 10th Street provides easy access to downtown. Easy commutes help boost the home ownership rate in this middle class enclave to 70 percent. Family homes built in the 1950s are set among the quiet streets and beautifully landscaped yards of Cambrian Heights. Most of these houses have been beautifully renovated and modernized. New development properties with elegant modern condominiums can also be found in some of the newer areas of the neighbourhood. The Cambrian Heights Community Association helps to ensure the neighbourhood's continued tranquility as new developments are added and oversees local amenities, including the neighbourhood sports fields and a skating rink. The CHCA shares its community centre space with Boy Scouts, the Seniors Club, and the McKnight Sports Council, which facilitates numerous sports in the area. The spectacular wilderness park of Nose Hill envelops Cambrian Heights homes for sale. It boasts natural grasslands and prairie wildlife along with 8 km of paved walking trails. Confederation Park is also close by, with a public skating rink, sports fields, and a community centre. The Nose Hill library also services the area. K-12 students are served by many local community schools, including elementary schools Cambrian Heights (Public), Highwood (French), St. Joseph (Private), St. Pius (French) (Private). Junior High schools include Colonel Irvine (Public), George P. Vanier (French), St. Margaret (Private), and Madeleine d'Houet (Private). Senior High schools include James Fowler (Public), William Aberhart (French), and St. Francis (French) (Private). 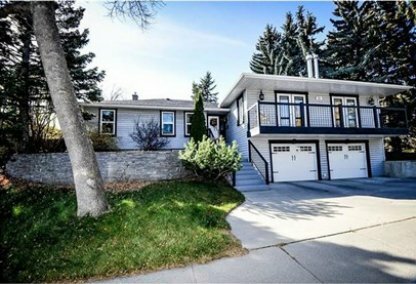 Looking to buy or sell a home in Cambrian Heights Calgary? Let our team of expert real estate agents help you navigate the search for your next home and negotiate the sale of your existing home. As neighbourhood Cambrian Heights real estate agents, we know the dynamics unique to the Cambrian Heights real estate market. We'll help guide your search today! Contact Justin Havre at RE/MAX First - 403.217.0003 to find out more about buyer or seller representation. Selling your Cambrian Heights home soon? Check out our free home evaluation, where you can view Calgary Homes Values online in minutes!